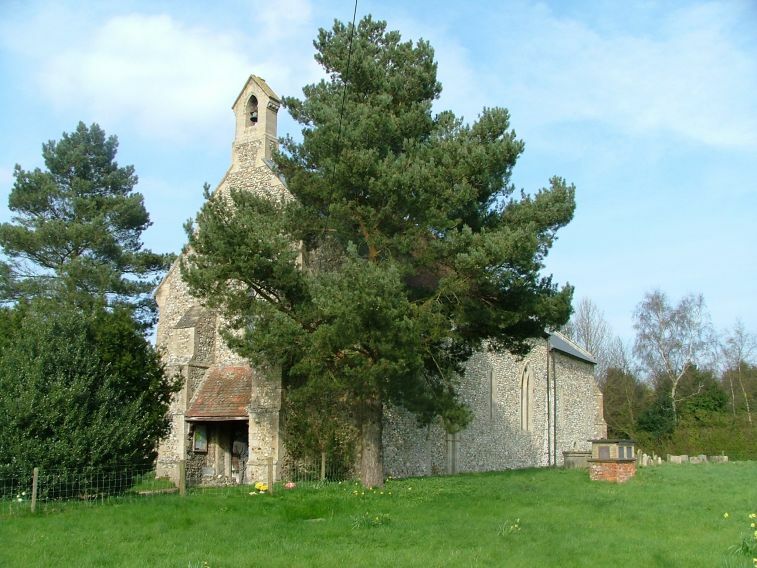 This pretty, rustic church sits on the edge of its village, just to the south of Fakenham. At one time there was a west tower, but it collapsed at the end of the 18th century. From the outside, you can still see the tower arch, now filled in and buttressed by part of the former tower walls. 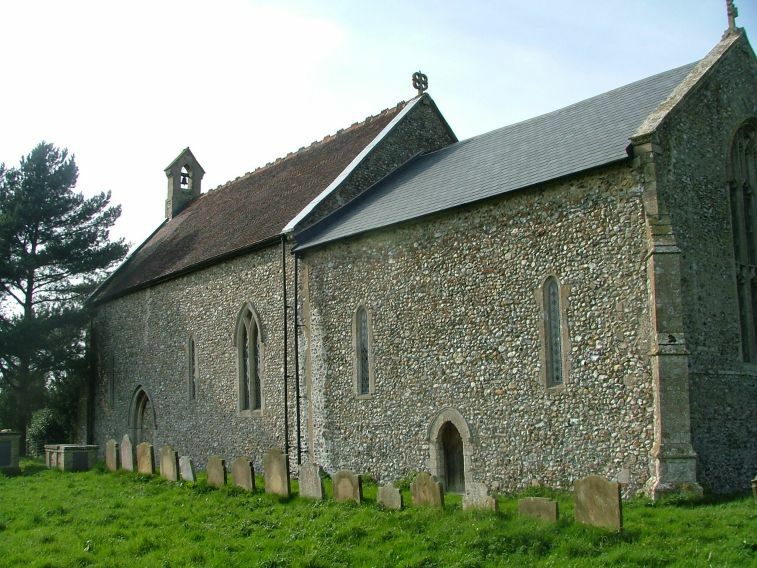 Judging by the windows, the body of the church is old, the early days of Early English, with the east window as a later addition. 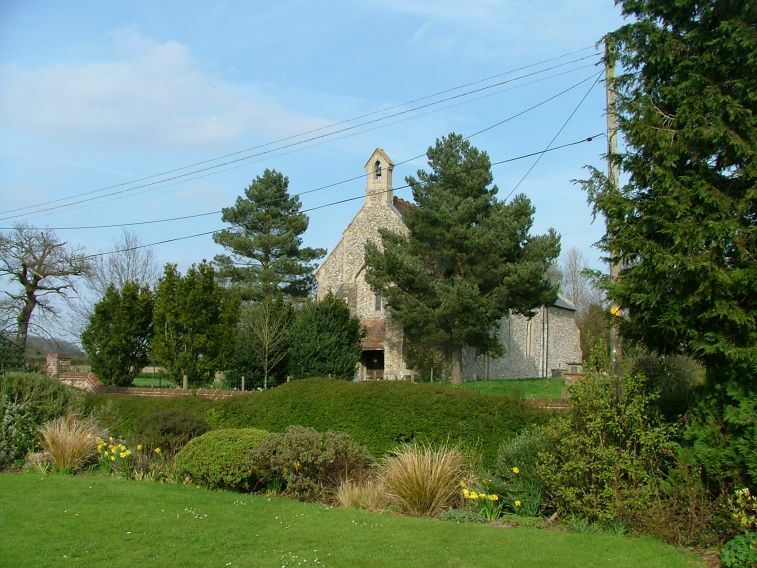 It is a lovely building in a pretty setting, the graveyard home to grazing sheep. We expected it to be open. 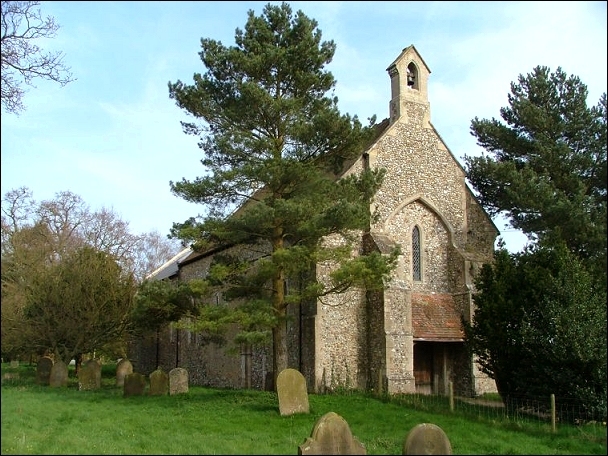 All the churches in this benefice are open, and this was the last one that we came to. But it was locked. Fortunately, there was a comprehensive list of churchwardens and caretakers on the door. But they were all out. 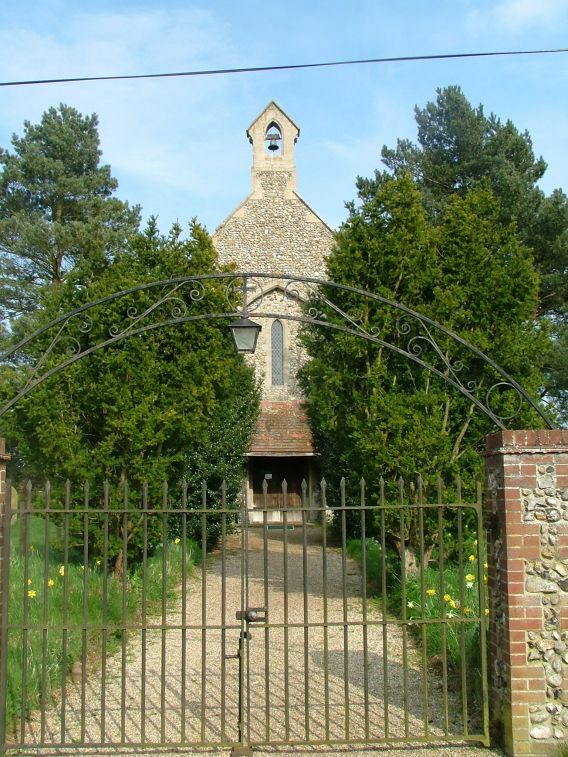 We asked a man in the farmyard up the lane, and he was most surprised to hear that the church was locked - shocked, even. He gave us a couple of other addresses that we might try. But by now, it was getting late, and we had to get back to Sheringham to catch the train. Another day, then, and a good excuse to go back.